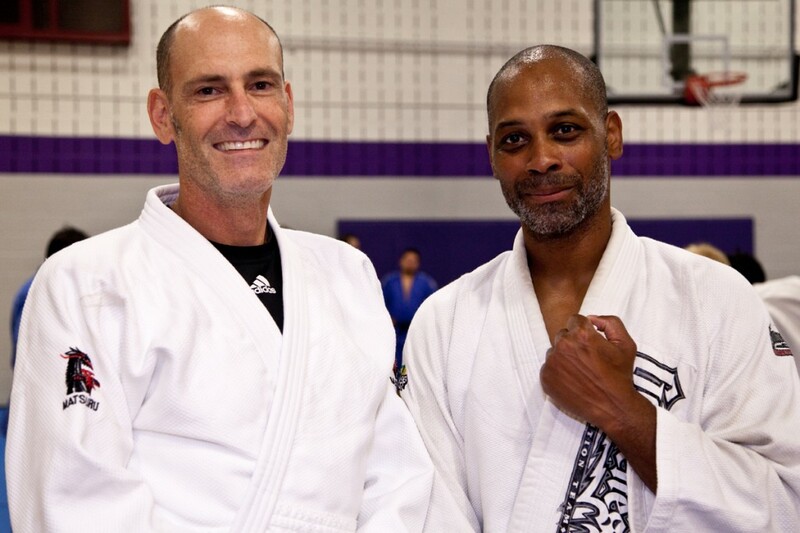 Several weeks ago, in mid-August, judo life was simpler for Wayne Lifshitz and Monty Burton, two Shodans (1st degree black belts) from the NIH Judo Club who also attend the College Park Judo Club. 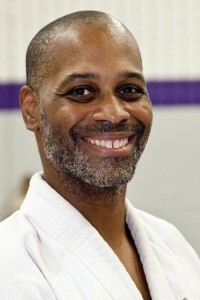 Monty was on vacation with his family, and Wayne was at the YMCA International Judo Camp in New York. But everything was about to change. 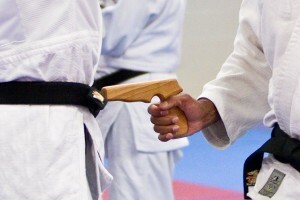 Wayne checked his email early that day, and saw that one of the emails was from Barb Shimizu, USA Judo Kata Chairman. She was inviting Wayne and Monty to be on the US team to compete at the World Kata Championships, to be held in Malta in October. Monty got Shimizu’s email the same day. “I was shocked, basically. I was thinking, why did they choose us? – I had to reread the whole email to figure out what was going on. Did Wayne read it yet? He was at camp. Oh, man, what are we going to do? This is going to be in 30 or 45 days – am I going to be able to afford it? What should I do? Wayne continues: “I remember texting Monty, asking ‘Did you check your email today because this is no joke. We’ve got to start training tomorrow, assuming you’re saying yes’. I didn’t really give him a choice. ‘Yes’ was the answer. 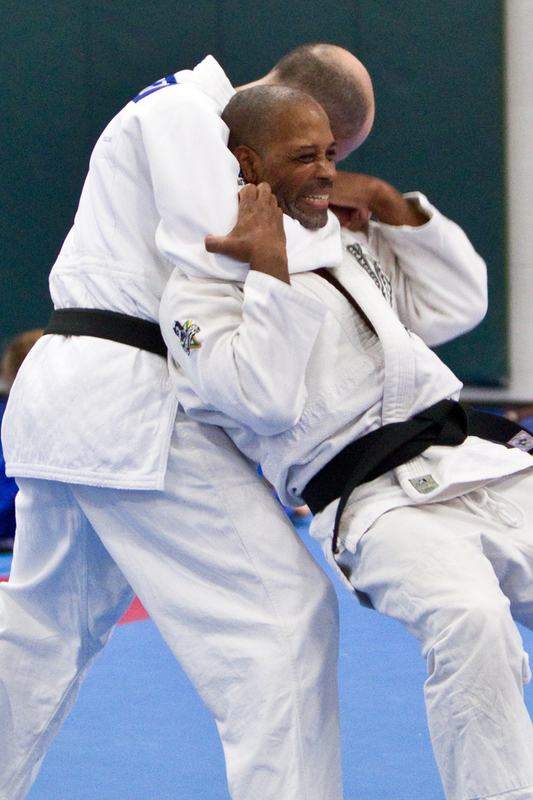 Both Wayne, from Bethesda, MD, and Monty, hailing from Clarksburg, MD, bring an uncommon level of athleticism and martial arts to judo. 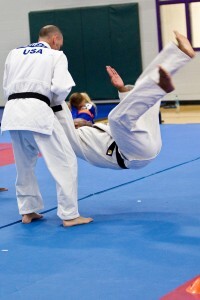 At the lower ranks, “I was loving judo, practicing judo. I didn’t have a goal or aspiration – it was just a good way to work out. 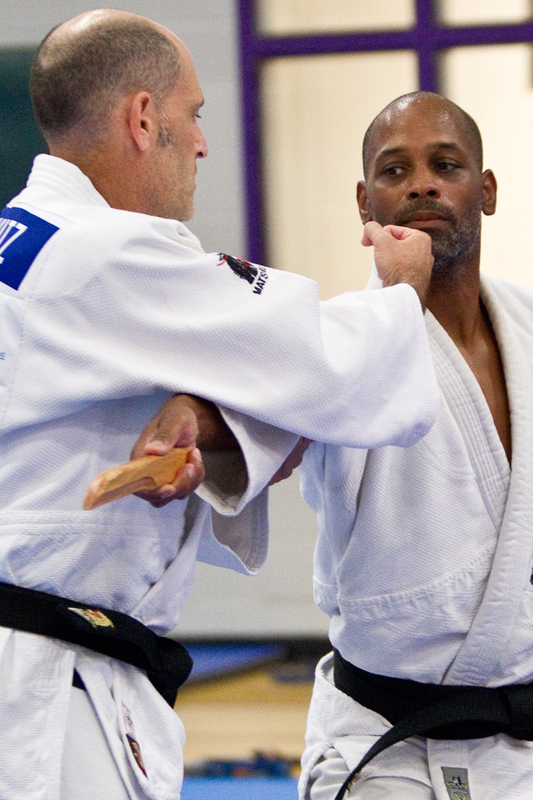 I did a lot of other martial arts, and judo was the one that was taking less of a toll on my body, something I could do as hard or as light as I wanted to, and didn’t have to worry about getting kicked or punched in the face – so I stayed with judo. I was focusing on how nice it was to be with a lot of black belts and international players, so it was good to get all their feedback and their tutelage at the beginning, so that was how I was just enjoying judo. 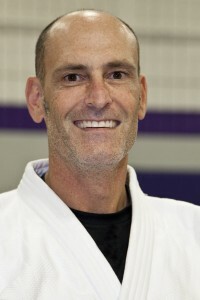 Wayne also brings an extensive athletic past to judo: “I was a state champion swimmer, competed in tennis, played water polo in college (UC Berkeley) where we won a few national championships, captained yachts, won sailing races. I just like sports and competing. Why did you start to concentrate on kata? 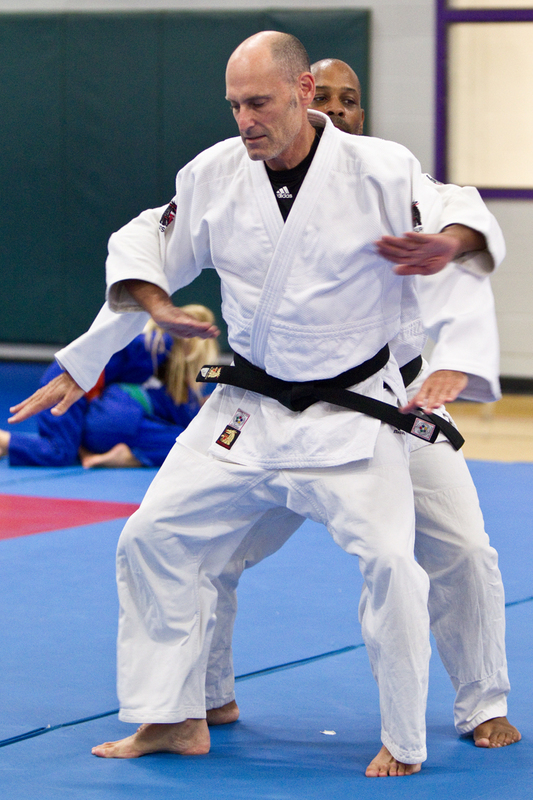 Did you go to Goshin Jutsu specifically to bring those other martial arts in? What was your goal when you first came to judo? 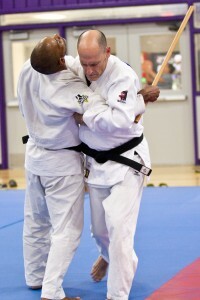 The two of you have always been kata partners and have placed multiple times in the US Nationals. Coached by Senseis Robert White and Brad Lewis at NIH, and by Senseis Karl Tamai and Diane Jackson at College Park, Wayne and Monty have been getting outstanding guidance in their preparation for Malta. This is your first international competition. What are you thinking? Has this idea of going to the World Championships in kata changed your approach to kata? Monty: “It’s more about the small details, the little things. Where are we supposed to be at the finish, where our feet are supposed to be, where my hand is supposed to be, as opposed to the big stuff, such as I need to get my stick here or my knife there. Now it’s really watching a lot of videos – like studying tape in football – you’ve just got to figure out what’s going on. We’ve been looking at opponents, too, people that might be out there, so we can find out if we concentrate on this part of the techniques, on our strengths, will it outscore them on their weaknesses. It really is taking on another level of interest and focus. Wayne: “I think I look at the theory. Why is he attacking me? Why is the technique done in such a way? What is my reaction to his attack, and why am I doing that? And to understand it. 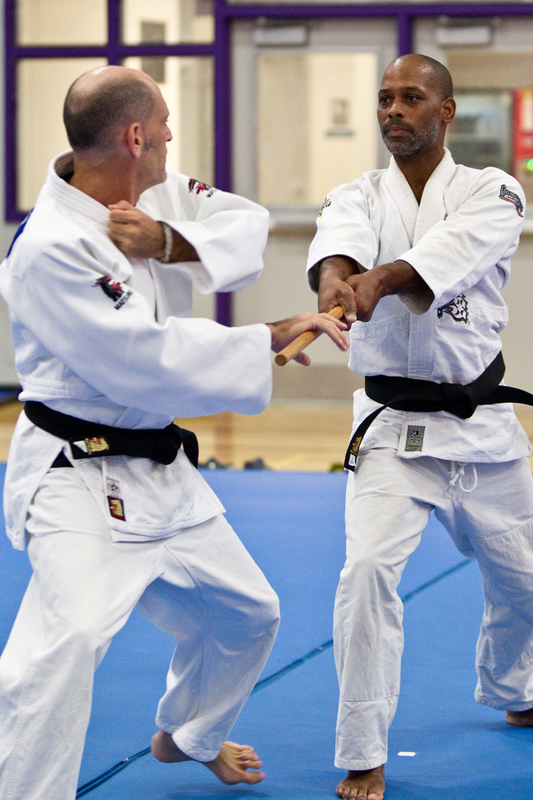 We both come from jiujutsu, street fighters, and so we’re bringing that street element to it. Are you going to do that? Then this is what I’m coming back with. “As Monty said, we have read all the rules. I know exactly what they’re looking to mark us off for, so it’s not gross motor anymore, it’s micromotor. Especially since the scoring now is starting at ten and then they go down, rather than from zero up, know exactly what they’re marking you down for. That’s what a competitor does when you watch tape. I want to know what you’re looking for, so I give the judges what they want to see. How has your approach to judo in general changed? Wayne: “It has made me more of a student. If you look where we came from, we started competing locally here in College Park. Then we’ve gone out to Indiana, to North Carolina, so we started competing then regionally and it took it up a little bit more. Then we went to Nationals. And now when I look at the listings of all the countries that are registered, I think holy cow – this is not some guys from Texas and Florida that are all American, this is the big show. 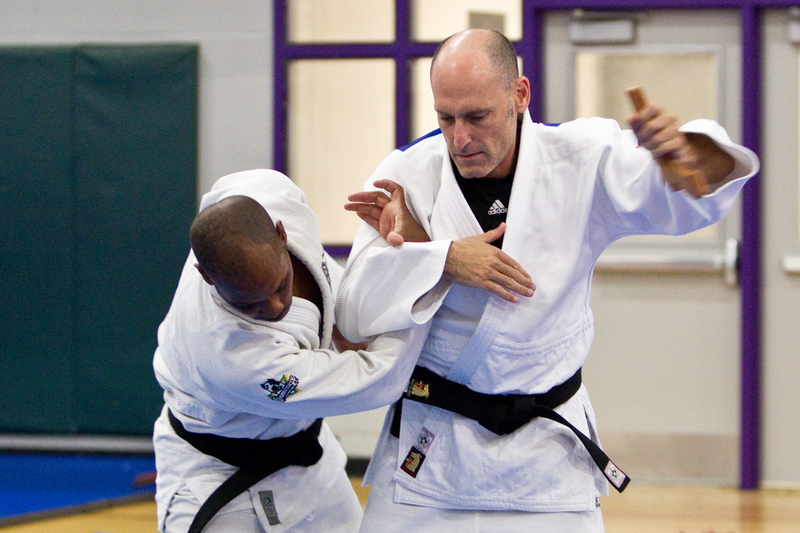 And I think it’s made me more of a student of judo. 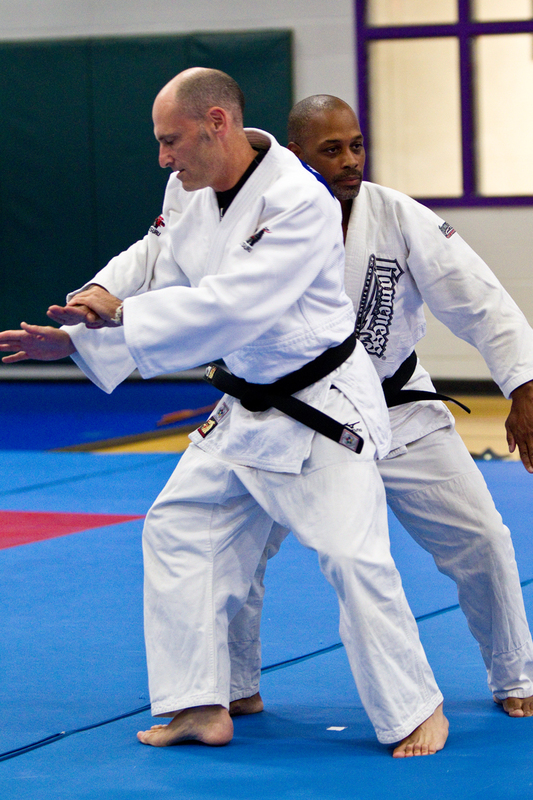 Like Monty said, even for Nage No Kata, all those throws and falls are much better for me because I’ve studied it through kata rather than someone just teaching how to do seoinage but look, this is the perfect way. “When people look at kata, I feel they may diminish it because it’s not hand-to-hand combat like you would get in shiai (sparring competition). But the throws, as you can see, are much more powerful and deliberate, and they’re pure because tori and uke execute it in a specific way. And I think when we do it, at least in my head, I’m imagining myself in front of an audience, and the audience wants to see what this looks like. Shufu also congratulates the teams of Diane Jackson (Hui-O Judo) and Karl Tamai (College Park Judo), and Rob Gouthro and Lisa Capriotti (Hui-O) for being named to the US International Kata Team for the World Kata Championships in Malta.